I had hoped that I would be able to get these The Longest Journey pieces out a bit before Dreamfall Chapters released, but as it turns out The Longest Journey is…well…long. But I still managed to finish my replay of Dreamfall: The Longest Journey one night in advance of the release of its sequel. For better or worse, it was much as I remembered. Dreamfall never had the effect on me that The Longest Journey did. I was eager for it when it released in 2006, having relatively recently come to the series the year before; the chance to return to those worlds and revisit those characters was too good to pass up, of course, and I’m sure there were plenty of people who had been waiting all the way since 1999/2000. 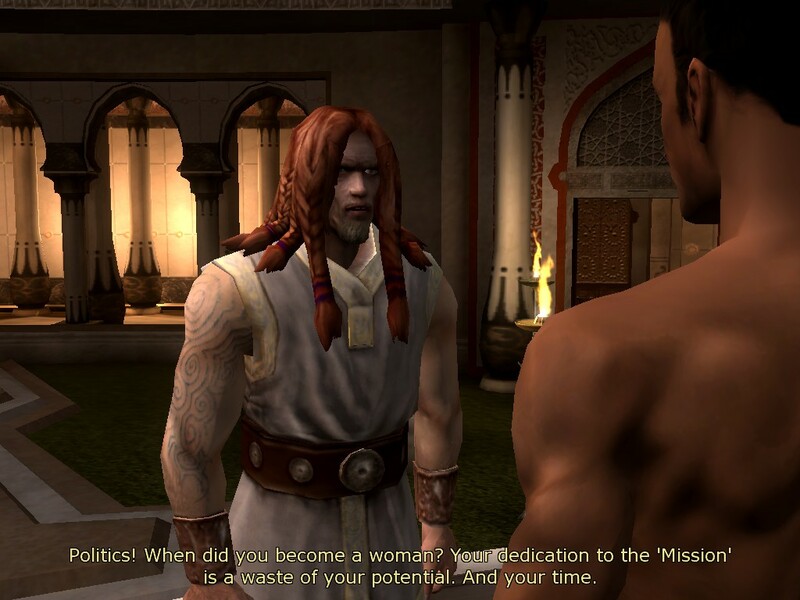 Despite playing Dreamfall temporally proximate to playing The Longest Journey, my memories of it – mostly fond, I will admit – still feel pretty accurate. This, to me, is befuddling, for reasons that are mostly dwelt upon in my TLJ piece. In retrospect, the thing that strikes me most about Dreamfall is how it (fittingly) sits in this weird liminal place: in the series and in games themselves. Dreamfall belongs to the era when simultaneous release on console and PC was just becoming a thing, as it released on the original Xbox (man, I still really want to write something like “Xbox 1” when I talk about that system; Microsoft inconveniences me at every turn) a mere day after the PC release, at least in the US; the gap was a bit larger overseas. This shows in the design: instead of a point-and-click adventure (which were pretty well dead in 2006), Dreamfall is a third-person adventure, the kind of thing you’d be quite comfortable playing with a controller. That it still uses a very point and click paradigm – climbing onto a crate, for instance, is not a matter of walking up and hitting a jump button, but rather the “interact” button followed by the contextual “climb on” button – makes this an iffy transition at best, but this game is still, at its heart, an adventure, if a very straightforward one. There is a lot of obligatory button-pushing and lead-following, actions that feel pleasantly like Actually Doing Something as long as you don’t look at them too closely. There are obligatory action sections with truly sluggish combat just this side of unplayable, and stealth sections that don’t seem to understand what makes stealth gameplay work – and remember, by spring of 2006, Metal Gear Solid 3 was a year and a half old. 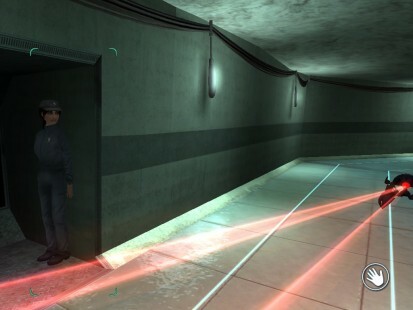 Stealth had been nailed on consoles. It’s a game that tries to do many things to update itself, and excels at none of the mechanical ones. If I can empathize with April Ryan, I can surely empathize with Zoe Castillo. Dreamfall is generally called a spin-off, now, with Dreamfall Chapters being its sequel but neither, technically, being sequels to The Longest Journey; Ragnar Tornquist has discussed the possibility of The Longest Journey‘s proper sequel, The Longest Journey Home, if Dreamfall Chapters proves successful enough. 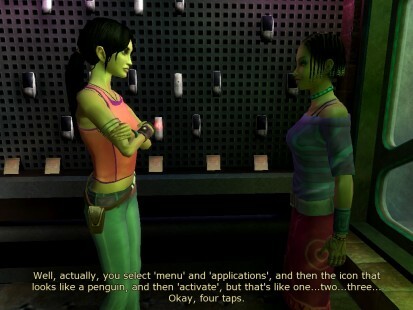 Understandably, though, some fans of the original were disappointed that April is not the main protagonist of Dreamfall, but rather another teenage girl, Zoe, with a similarly murky destiny. Where April was moving forward with her life rather mechanically when destiny came calling, Zoe has disconnected. She’s dropped out of school, grown weary of probing job posts to see how many positions she doesn’t qualify for, and spends most of her time at home. She seems well off, and for that she is often characterized by players as vapid and shallow; first impressions are the most important, I suppose, but I don’t think that’s giving her sufficient credit. If anything, I think she’s depressed. Through her ex-boyfriend, an independent reporter named Reza, Zoe gets wrapped up in some kind of pseudo-corporate conspiracy. Stark has changed; in the decade of in-world time that has passed since April preserved the Balance, a massive event called the Collapse occurred, and though things have settled again there is a new world order with commandos and anti-corporate statutes, perhaps to ensure that corporations don’t literally run things like they were in April’s Stark. For a variety of reasons, the story is a bit more sci-fi thriller than its predecessor, despite lengthy interludes in Arcadia. Even on a second play, when I remember most of the final answers, I got a little bit of the thrill of discovery with each new clue. It’s almost Quantic Dream-like. Not everyone likes Dreamfall. I completely understand this. The characters are different. The tone is different. There is a lot of bad gameplay in it, and the good gameplay – the fact that the apparently linear series of puzzles actually mostly have several different solutions – is not mentioned in the game at all; I didn’t know that there were multiple ways around most situations until I started looking up a walkthrough to speed along my recent replay and hit that self-imposed deadline of “before Dreamfall Chapters.” It cannot be said of Funcom that they weren’t ambitious with this title, and that ambition comes at a certain risk. There are three protagonists, and there are definite arguments against each. Zoe, as I’ve said, is disliked for being a self-centered teenage girl; April, playable for parts of the game, is a bitter shadow of her former self, in many ways not at all the character we saw at the end of The Longest Journey; and Kian, the holy warrior, is a true believer in a way that makes decent supporting characters but not great protagonists – not to mention the fact that his entire story is left somewhat undeveloped. Dreamfall was clearly supposed to be a launchpad for at least a third game, or episodic installments like Dreamfall Chapters, and probably not with eight years in-between. Some of the themes see only limited development, and basically every plot is left on some cliffhanger or other. 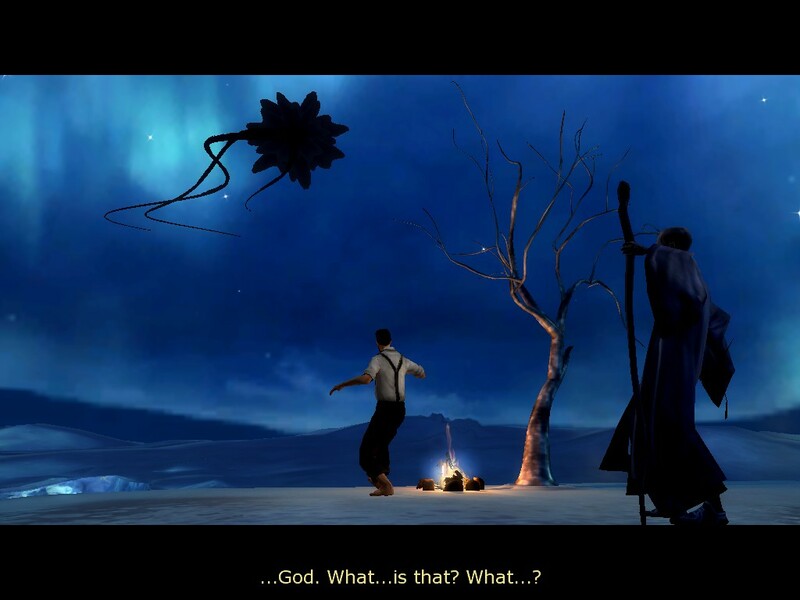 The time gap between The Longest Journey and Dreamfall is so filled with upheaval, in Stark and Arcadia alike, that it is almost like experiencing them for the first time. Dreamfall dwells on dreams. This was not unprecedented in the series: dreams are called out a few times in The Longest Journey as an important part of the fabric of the Balance: people in Stark can perceive Arcadia through dreams, and vice versa. April’s Shifter abilities allow her to traverse the dream between worlds. But for the most part The Longest Journey doesn’t plumb these depths too deeply, favoring instead its own themes of science and magic, reason and emotion, order and chaos. While overtly it deals mostly with the sort of dreams we have when we sleep – liberally incorporating Australian Aboriginal concepts of the Dreaming, a place outside of time and space and life and death – Dreamfall says something about aspirations too, the kind of dreams we try to follow. Zoe has lost sight of her own, and many of the characters – especially those who return from The Longest Journey – have had life and circumstance interfere with whatever they had dreamed for themselves. April’s friend Charlie even says flat out that one’s dreams not coming true isn’t always such a bad thing. 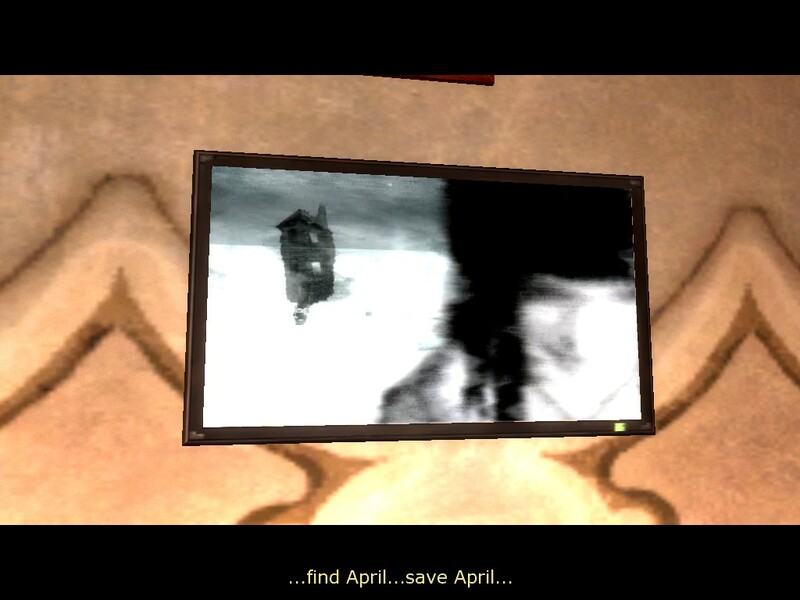 It’s a relevant meditation for April as well as Zoe, and to Dreamfall‘s credit what answers it finds are not saccharine “your dreams can come true and everything will be perfect” fare. Zoe rather conveniently doesn’t have much of a normal life to interrupt in the way that April did, but in both cases their place in the cosmos necessitates giving up on anything they might have imagined for their life. April is angry about this, and that anger drives her through Dreamfall – though she doesn’t readily admit that. We’re not gonna deal with this plot thread in this game, incidentally. I can’t readily acknowledge why Dreamfall works for me, but it does. I don’t have the sentimental feelings toward it that I do The Longest Journey, though I think it inherits a portion of its predecessor’s goodwill. The writing is a little more refined, in quantity if not quality; gone are some of the lengthier ramblings about nothing very important, replaced with relevant pieces of world-building and puzzle hints with some extra fluff for character. The best characters are those that return from the first game: a more-snappily-written Crow, the steadfast salt-of-the-earth Benrime Salmin, Roper Klacks, reformed as he is. New characters don’t lack punch, though there are fewer of them, and Theoretically Blind Bob is far and away the best of the lot. This guy is a close second. I don’t know his name, but…that hair. But I like it a lot, and I’m eager for its continuation, as I type this while keeping an eye on Steam for the official drop. If nothing else, Dreamfall is a certain moment in game storytelling encapsulated, before Telltale revolutionized what we call adventure gaming, when episodic distribution seemed a great new frontier, when multiple platforms meant shoehorning in new mechanics and features to increase mass appeal. Also when mobile phones with apps were such a new thing that they became the game’s multitool. Not many series made this transition gracefully, and…well, some would disagree, but I think that Dreamfall did okay in the end. It sounds like it did. I distinctly remember there was a fair amount of disappointment when this title came out, but not being a Longest Journey veteran I didn’t pay much attention. I wonder if those who disliked it back then (whereas you seem to have always thought pretty highly of it) would judge it differently today. So DIx, was it just that this series came out at the wrong time? 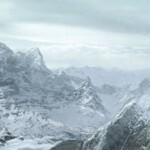 At the “death” of the adventure game? Or do you think other factors were at play in Tornquist’s long struggle to build the franchise? Hindsight is 20/20, of course, but I think the time was never quite right for The Longest Journey series. Much earlier, when adventure games were king, and the exceptional voice acting would not have been possible. Much later and it just wouldn’t have happened at all, or been much smaller at best. We are probably in the right time for it, finally, with Telltale in particular blazing a path for narratively-focused games, but not really serving the high-concept fantasy/sci-fi market so much as the gritty speculative fiction one. Speaking as someone that came to the TLJ universe after Dreamfall’s release, I’ll say that Dreamfall will always have a special place in my heart. Playing long, story-driven games felt more and more like a waste of time the further I got into my twenties, but I still have a place for Dreamfall, TLJ, and now Chapters. I think that’s due to a mixture of good writing and a sadly-rare-in-games focus on the inner lives of the characters. Dreamfall is a deeply flawed game in the objective, formulaic and weird way games are reviewed by mainstream gaming press. But in terms of its overall affect, and how the characters and scenes stick with you months years after the event, it’s one of the best games of its decade. I don’t think it was trying to be Metal Gear, you’re judging it a bit harshly by comparing it to stealth games, or third-person action adventures. To me that’s like reviewing first-person war shooters for plot saying, we’ve nailed good stories in 3d games why isn’t the story in this 3d shooter better. Dreamfall was a go at your own pace, 3d but still at heart point-&-click adventure sequel, and the stealth puzzle was just a puzzle that fitted 3d third-person view – a game-genre-inspired puzzle – not a core game mechanic or Dreamfall’s own game genre. I don’t think it was trying to be Metal Gear, either – all I’m saying is that the fundamentals of making a stealth section had been nailed, and even if it hadn’t been as robust (and it shouldn’t have been, certainly), I think Dreamfall‘s existing stealth system makes a lot of amateurish missteps with its implementation of stealth. I do think of them as puzzles, but I think that’s part of the problem. There is a right way to move through most of them, and finding it is trial and error, largely – and failure at any point means repeating the entire process from the beginning. This isn’t great as a puzzle or as a stealth section, especially when the criteria for success are as unforgiving as they sometimes are in Dreamfall. I do think that the stealth elements (and the combat) smack of someone saying the game needed to be more “modern” or something, and not necessarily the intent of the developers themselves if they’d been left to their own devices. Nice review, Dix. My own take on Dreamfall, back when I played it, was that it wanted its cake and wanted to eat it too. Like you say, it seemed to yearn to “be more modern”. To me it was just fatally clunky and ill-formed, neither one thing or another. Maybe it was a message in a bottle to a younger generation than mine, and I couldn’t translate it properly. Be interesting to give it another go now in hindsight. I played TLJ (and played it and played it) right at release and it had me thinking that adventure gaming might actually take that necessary step forward after all by playing to its core strengths, depth of story/character as action/humanist outlook. Sure it was wordy. Sure, the devs needed more seasoning (and editing…) in the writing department and some of the puzzles were overly byzantine, but the great voice acting plastered over the cracks well enough and TLJ turned out to be more than the sum of its parts, an emotional epic of no small proportions. It stirred the adventure game pot one last time, raised hopes, but in the end, turned out to be a kind of beautiful, last shooting star so many of us misread. Had Tell Tale and the Indies been around then to pick up the torch instead of retooling and relighting it a million years later, who knows? But then, sometimes “one’s dreams not coming true isn’t always such a bad thing”. Hi ya, Pike. Miss you guys. My gaming fugue finally lifted so I needed to see what is what. There is only one place to go to read about good games….TR. Right? We missed you too. Welcome back from your fugue! You chose a good time. Gaming has been on quite a rollercoaster in the past year. Old is new again and so forth, with positive results. Adventure “genre” games are recognizably different than their early nineties heyday, but also very familiar to long-time fans of them. This is especially relevant here since Tap-Repeatedly’s pedigree is pure classic story-driven adventure. I’m thrilled to see what TellTale and others have done with new ideas, and it makes me feel good to see TLJ continue as well. There’s so much to try out, it’s rather overwhelming really. That can trigger a gaming fugue of its own. Avalanche paralysis, as it were. The best move is to focus on the short term rather than the big picture backlog. I’m enjoying, or was until I had to return to the family farm for tortures untold, The Vanishing of Ethan Carter. I have a new rig that runs just fine at full settings and it’s like you say, everything old is new again. I do like the tag, “An adventure game that doesn’t hold your hand.” No little arrows pointing you toward your destination. Sorry to see you were down.